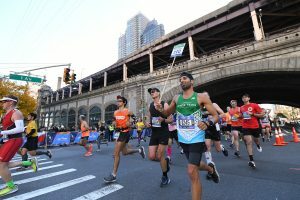 The 2019 New York City Marathon takes place on Sunday, November 3 and Team Croí needs you! Our aim is to take you on the trip of a lifetime and along the way you will improve your physical health and raise vital funds to fight heart disease and stroke! Every mile you run can make a difference, and we want to harness your energy and commitment to help our cause. Our Croí New York Marathon Team consists of runners & walkers from around Ireland with a common goal – to participate in the world’s greatest marathon and to help a worthy cause along the way. The TCS New York City Marathon is one of the world’s greatest participatory events and it is also a wonderful spectacle for supporters. We welcome non-running partners, family and friends on the tour – a great time is guaranteed! The Marathon starts on Sunday, November 3rd from Staten Island, and runs through all 5 city boroughs (Staten Island, Brooklyn, Queens, The Bronx, and Manhattan). We can offer you a guaranteed entry as part of our tour package, regardless of your previous marathon times (if any). You just need to be resident on the island of Ireland and be at least 18 years old on marathon day. 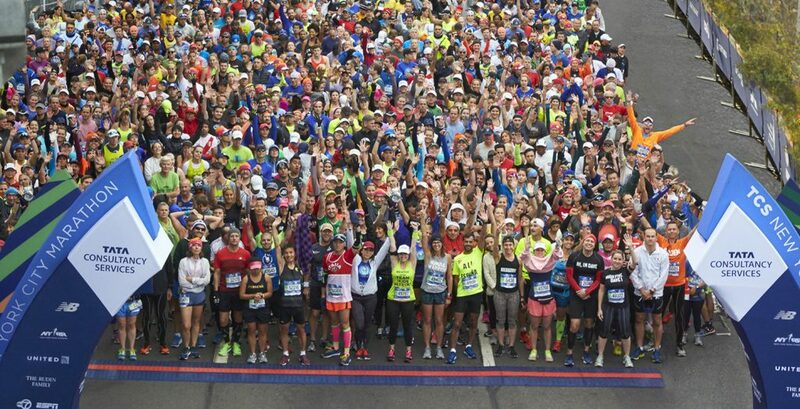 With two million spectators and a carnival atmosphere, the New York City Marathon is an unforgettable experience. Such is the demand for this tour, we advise immediate booking in order to guarantee your place. For further tour information and costs please email christine@croi.ie or call 091 544062 today!